Do you have an incident response plan in place? If your answer is yes, great! When was it updated? Have you recently simulated an incident and implemented the plan? Maybe you’ve had new employees join your team, a management change, or perhaps your equipment has been updated? Your plan might be too generic, too complicated, or untested. A neighborhood evolves dramatically over even a short period of time, as do crime trends, and your incident response plan needs to be regularly reviewed and rehearsed. 80% of residents report that safety is key to their community enjoyment. Don’t wait until a crime occurs to reevaluate the security needs of your community. Rather, be proactive. 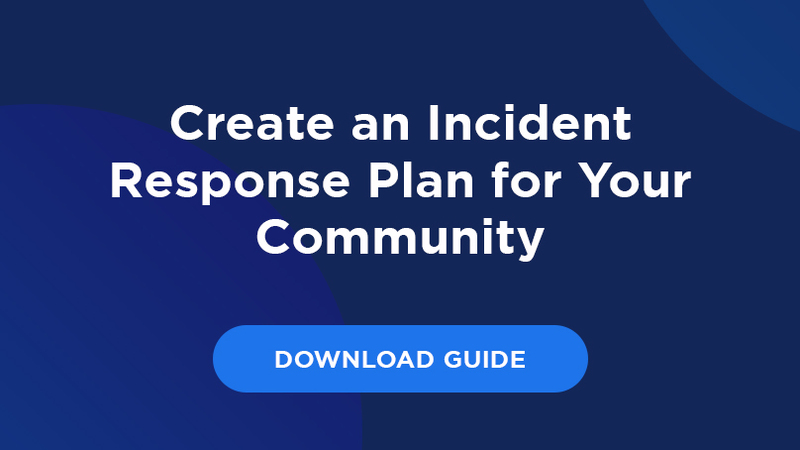 Take the following steps to start creating an incident response plan for your community. The cavalry doesn’t need to be called out for a lost dog or even a car break-in. By deconstructing possible situations, the true dangers that need a more robust response will emerge. Multiple and violent property crimes, major weather events, fires, or other serious medical situations that warrant an incident response should be defined and possibly broken out into threat levels. Clearly define and outline the roles and responsibilities for each team member in the community. Ensure everyone knows what’s expected of them when an incident occurs. Collect everyone’s contact information and compile it in easy to access location so all vital parties can quickly and easily be alerted as soon as an incident occurs. No community is 100% secure. Even with guards, gates, and cameras, incidents can, and will, still occur. That’s why it’s important to take precaution and have the right software, hardware, and procedures in place that are designed to alert you as soon as an incident occurs. For help creating a response plan for your community, download our free guide today!